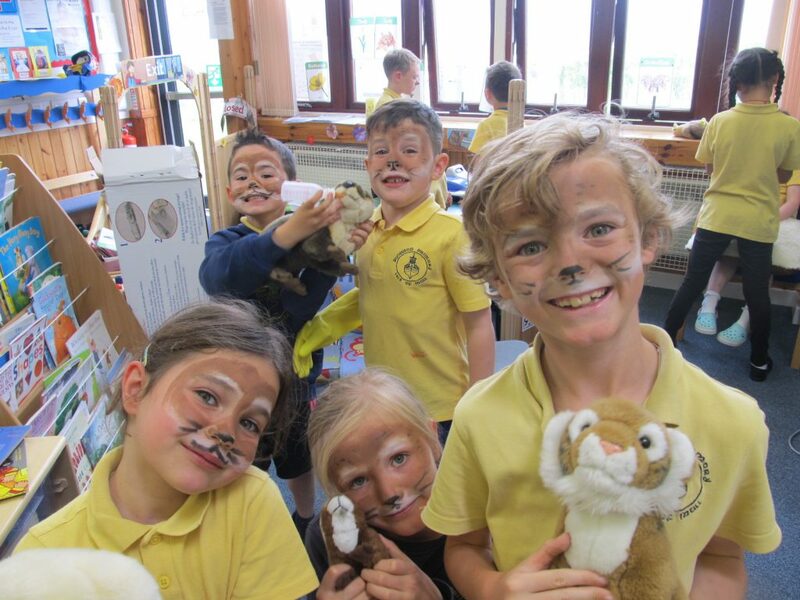 Bunessan Primary School on the Isle of Mull celebrated World Otter Day on 31st May. Mull Otter Group Committee organised a day packed with otter-filled activities. Children in P5,6 and 7, helped by Val Leckie, made beautifully observed drawings of Eddie the Otter. In Marie Fox’s hands, their Maths lesson became a practical approach to collecting data and a discussion about wildlife groups’ collection of statistics. Mull Youth Theatre’s Andi Stevens’ lively drama session created acrostic poems with words and movements. How do you differentiate mink and otters? Mull Otter Group’s Nigel Burch and local Ranger Emily Wilkins taught them how. The younger ones had a busy day, too. Anna Mockford, ably assisted by Georgia, transformed them into otters with facepaints. 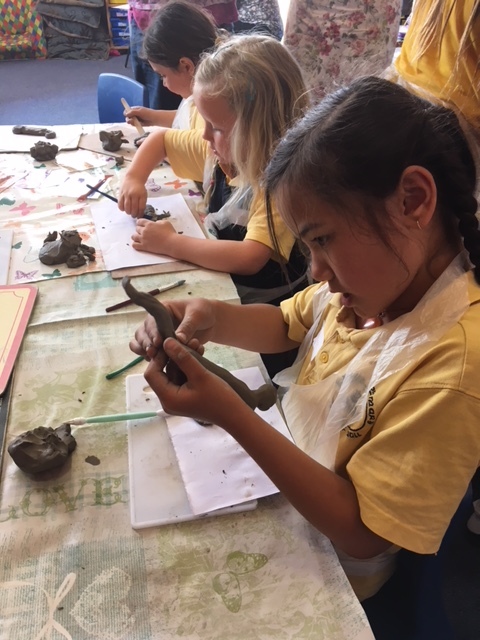 Local artist Julie Ward helped them make clay model otters and Jane Putsey showed them how to make otter prints. 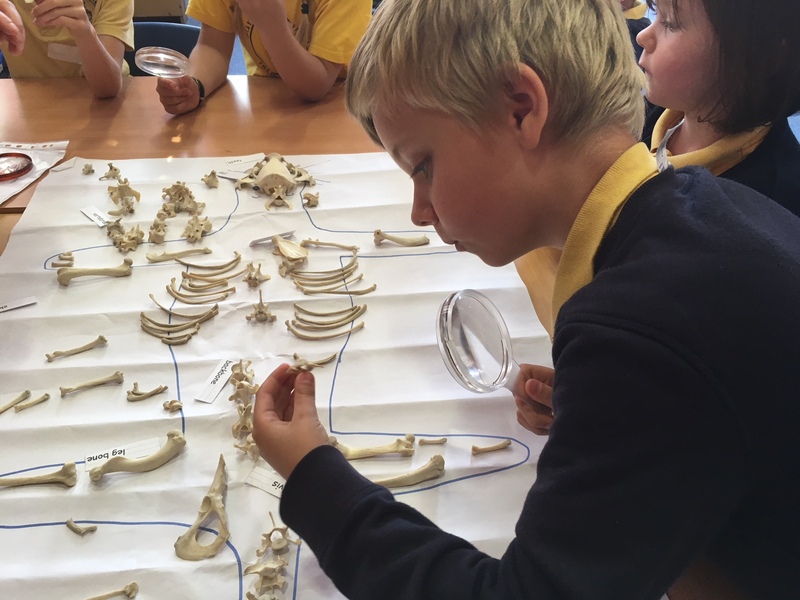 Sue Morley helped them explore and understand an otter skeleton. Others enjoyed Sue Penny’s telling of the travels of the Utterly Otterlys. Nigel Burch taught them how to spot otter signs in a specially created otter trail. What do you do if you find a sick or injured otter? Jane Stevens, Chair of Mull Otter Group, explained: then everyone had fun working in the Otter Rescue Centre. 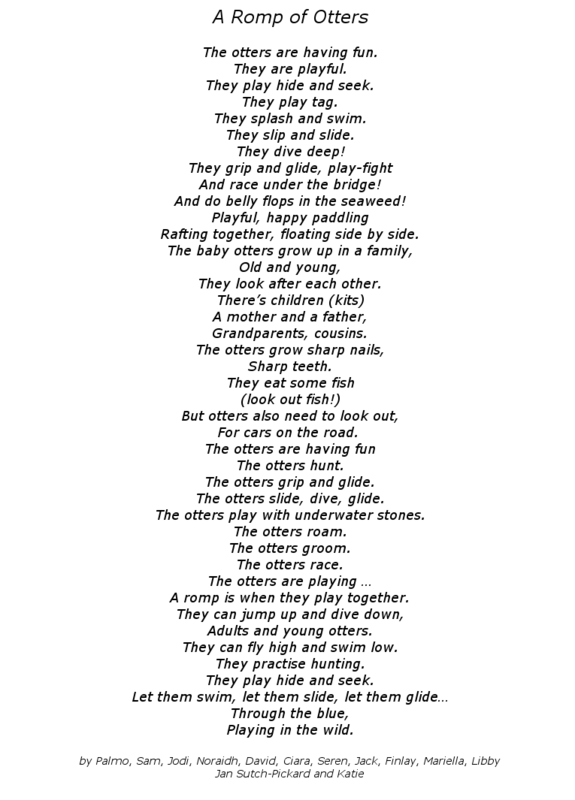 Jan Sutch Pickard and her granddaughter Katie gathered the children’s ideas to make a lively poem: A Romp of Otters.